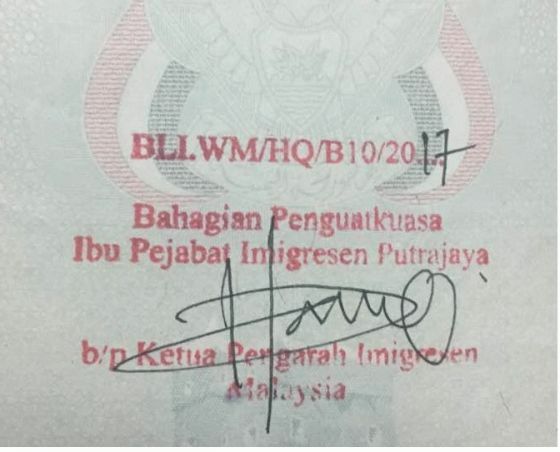 How to check immigration blacklist in Malaysia? I have blacklist stamp in my passport. Long story short, I went to an agent to clear my overstay. He returned my passport after 3 months with the red blacklist stamp and requested more money from me to solve this issue. I need to check if the stamp is official, is there a way to check? Post a picture of the red stamp here. How much did the agent ask from you? There is no way to clear a blacklist. The agent asked for RM3,000 to clear this. Can you post again the whole page? I repeat again, blacklisting cannot be cleared. Look at all the BLI stamp/chop posted in this forum. How long you have overstayed? Which country are you from? Pakistan? And they also gave me another stamp, a visa pass for 13 days. Something is fishy thus I want to check online if possible. From Yemen, before I gave the passport was 3 months, now almost 7 months. The 13 days Special Pass is real. That is the Exit Pass number. 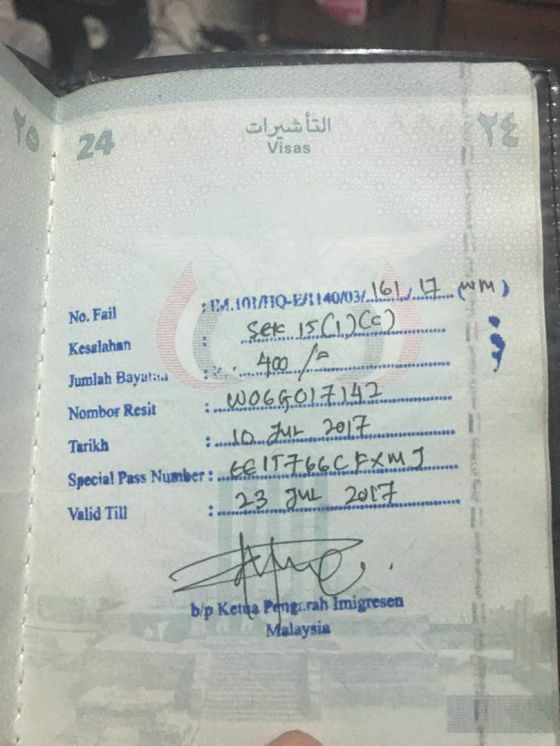 You have to leave Malaysia by that date. Please describe the process of getting that pass? You went to the Immigration Department together with him? The red stamp you have posted above is false. Look at all the other BLI/WM stamps posted in this forum. Do not pay any moneys to him and do not give him your passport. Do not walk around and get caught. You have a fake immigration stamp in your passport. If caught, can have a jail term. Go get help from your Yemeni Embassy. And get Exit documents and personally or together with your embassy officers go to surrender to IMMIGRATION Malaysia. Your passport has been spoilt by this bogus agent. Will explain tomorrow. Bad internet line today. Do you understand? Do not pay anything. There is no checking from public media / online / internet on any blacklisting. The BLI BAN stamp will be chopped on your passport when you cross immigration checkpoint at the airport. Immigration will not stamp the period of BAN on your passport now. Some overstayers may run away again and hide and do not go back. The RM400 paid in July is the 3+1 Voluntary Surrender. The Immigration will also give you a set of Exit Pass documents for airport Immigration. Get friends who are here legally, make appointment for him to collect the RM3,000. Catch him and then bring him to the Police Station for police report to avoid other people from being scammed and their passport destroyed by fake stamps. First, thank you so much for your responses. And no, I didn't go with him to the Immigration. He did the process for me. Just my last question... 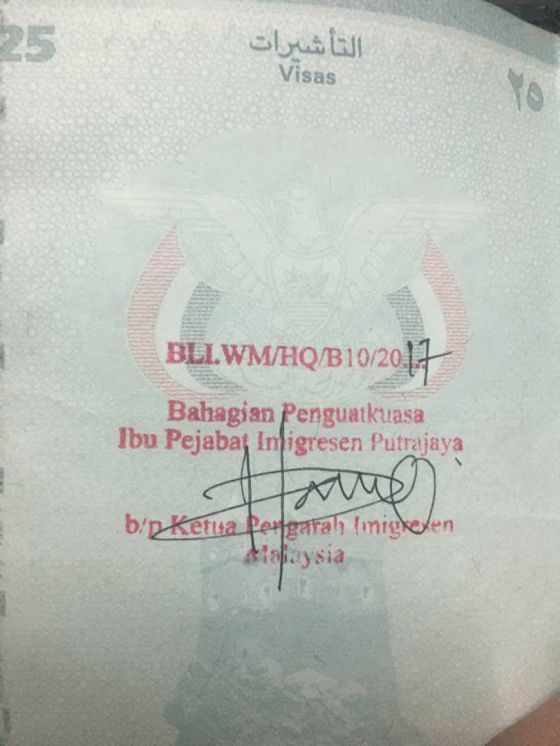 Does the Immigration give the red stamp without me being there physically? I have checked this forum and have not seen any picture of the red stamp for other people. One more thing, how do you know its false one? You cannot find and see it because you get a similar chop on your passport only at the immigration checkpoint at the airport. It has to be stamped in your presence and the Immigration officer will inform you. Sometimes they do not. I can make any type of stamp myself. Your process is wrong.